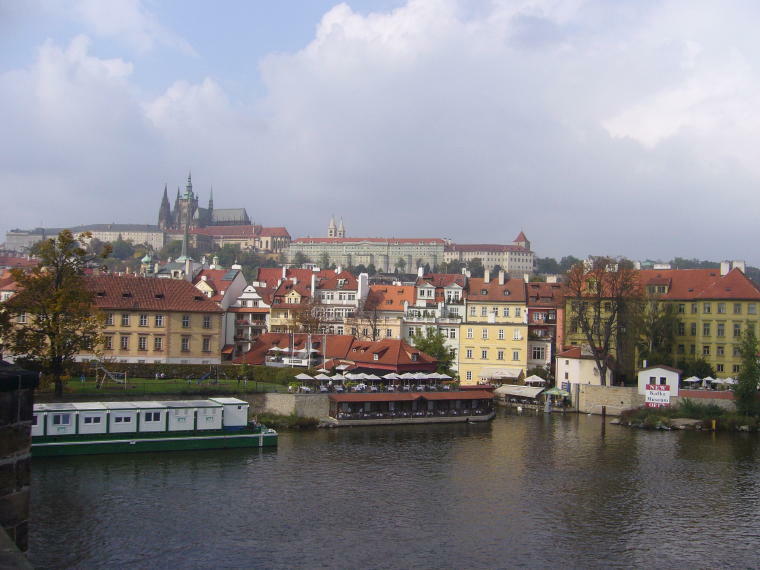 The first six days of our trip were spent in the beautiful city of Prague, Czech Republic (part of the old Czechoslovakia). 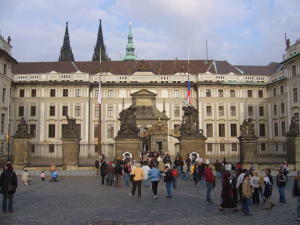 The Czech Republic has been a member of the European Union since 2004 but has its own money - the Crown. There were about 20 Crowns to $1. They expect to convert to the Euro in 2010. 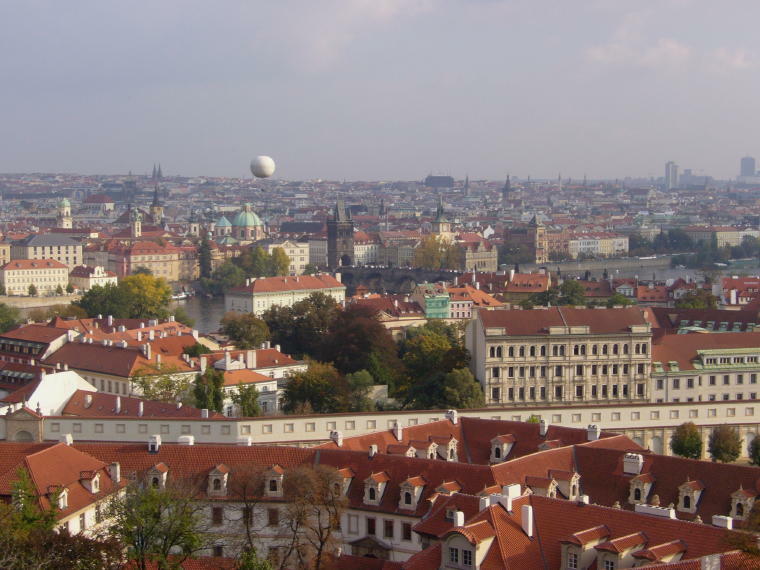 Prague has a long and turbulent history. 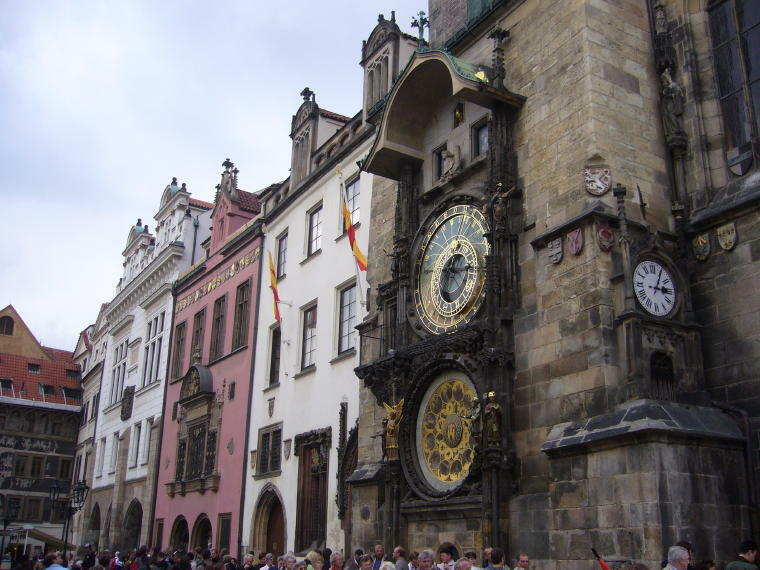 It came into prominence in 1232 when King Wenceslas established a settlement there. 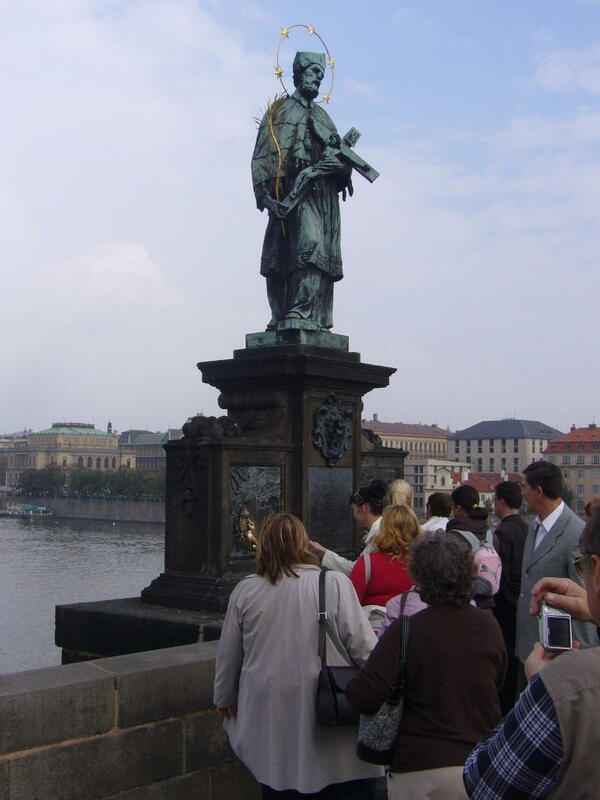 Under Emperor Charles IV in the 14th century Prague became one of the most splendid cities in Europe. Its location at the intersection of vital trade routes stimulated its economy. 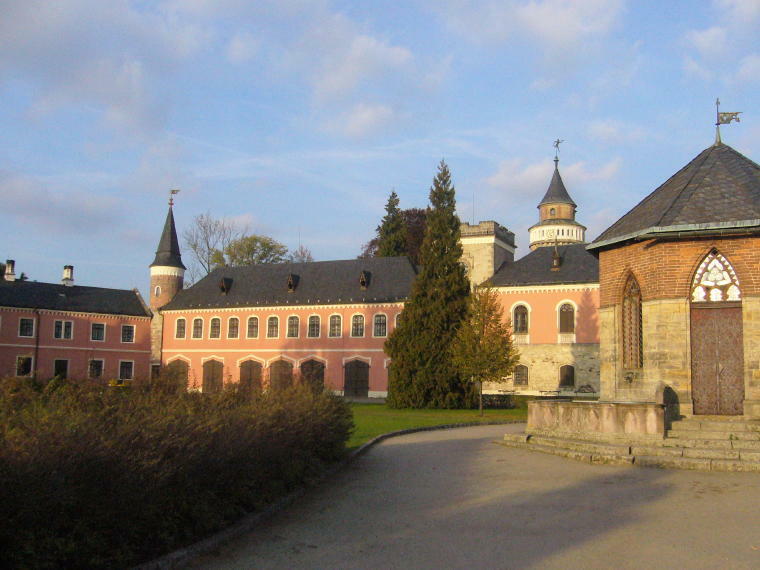 It was home to many of the emperors of the Holy Roman Empire and a vital center for the Hapsburgs. 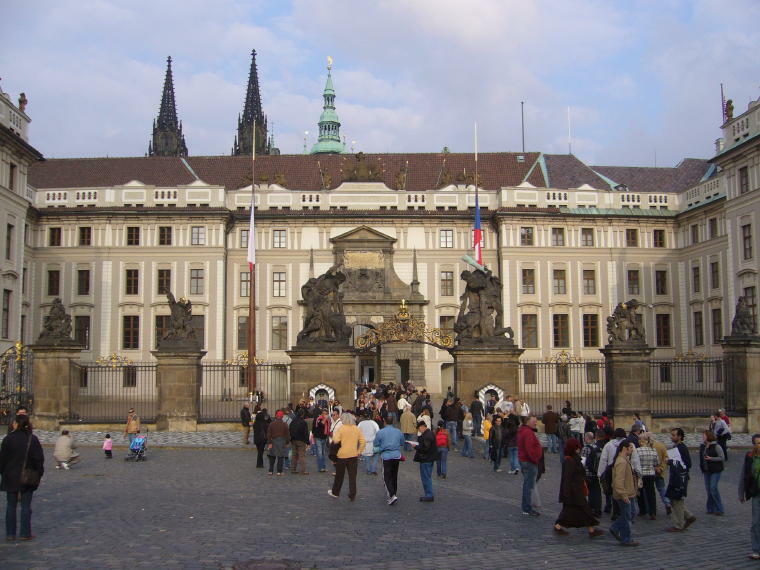 Although occupied by the Germans in WWII, it suffered little structural damage because Hiler loved Prague. Thus it is one of most well preserved capitals in Europe. 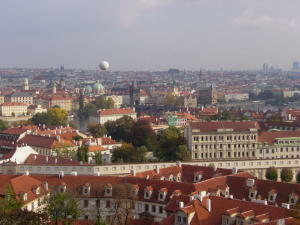 Today, Prague has about 1.2 M people. Most people live in the suburbs, taking one of the many forms of public transportation into the center. Our Hotel Don Giovanni was located outside the downtown area and we learned to take the subway into town for less than $1 roundtrip. 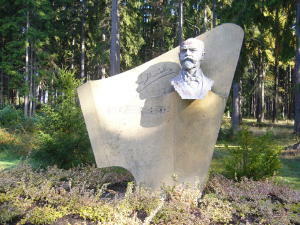 The subway was actually built by the Russians deep under the city and it was definitely the fastest way to get around. 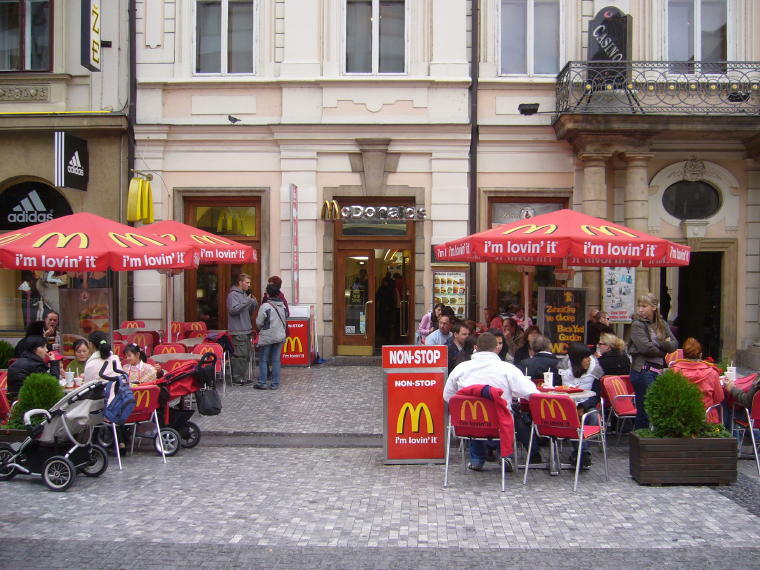 We felt very safe in Prague but we were warned to watch for pickpockets. Evidently this is a major problem and we were given tips on how to avoid becoming a victim. 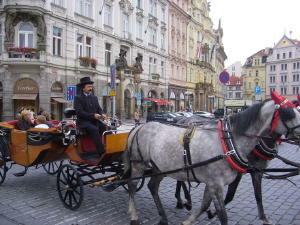 Our first day in Prague we enjoyed a walking tour of the old town (Stare Mesto) area. 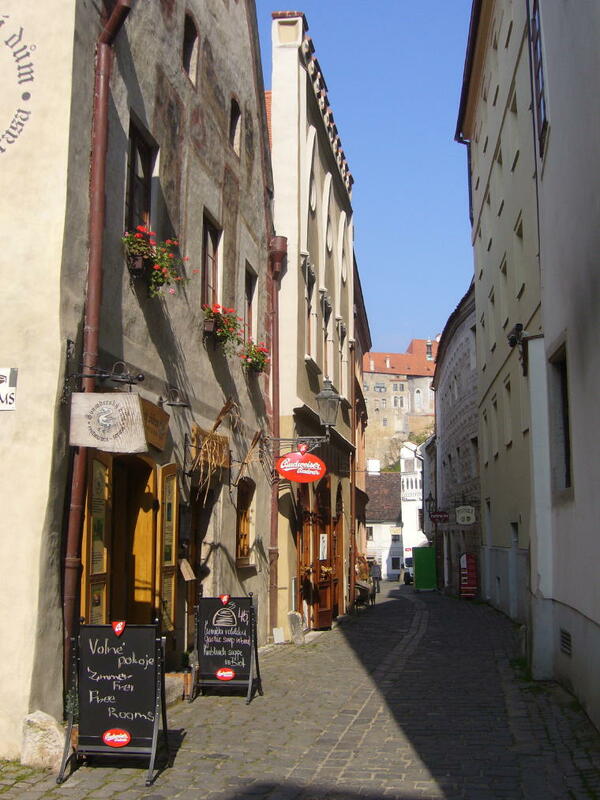 We walked down winding, narrow, medieval streets made of cobblestones . 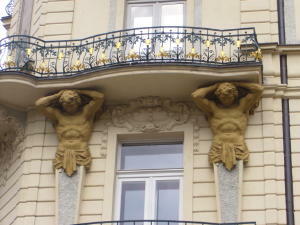 It seemed like every building we passed had an interesting style, many adorned with paintings or sculptures. It seemed like every other store was selling jewelry of amber and garnets, or bohemian glass crystal. Also popular were fur hats, pashmima scarves, carved wooden marionettes and stacked Russian dolls. Since it was a lot colder than we expected, Barb quickly bought a beautiful scarf that she wore just about every day of the trip! The Vltava River flows through Prague and divides the city. Seven bridges cross the river, the most famous of which is the Charles Bridge. It was built in the 14th century and took 50 years to build. The bridge has huge gothic towers at each end and many statues along its span. 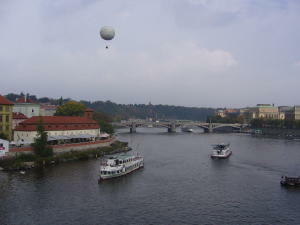 It is strictly a pedestrian bridge now and artists line the bridge selling photos, paintings and jewelry. As you can see the bridge and the area surrounding it were always very crowded even though this was off season. 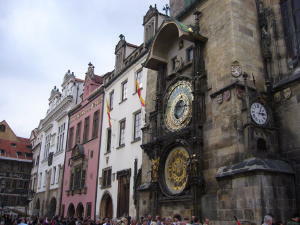 The Old town Square has an astronomical clock built in the 15th century. It rings on the hour with figures that come out and dance. 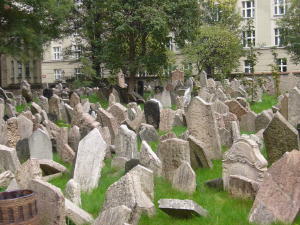 We walked through the Jewish Quarter but it was during holy days so we couldn't visit the old cemetery or synagogue. But we peaked through the fence and saw all the gravestones. It is estimated that over 200,000 graves are contained there, the earliest stone is dated 1493. 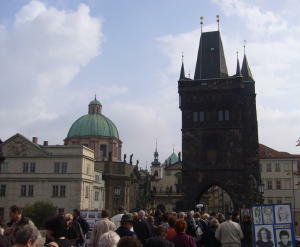 Crossing over the Charles Bridge, we climbed up to the Castle District. This is home to Prague Castle, the largest ancient castle in the world. 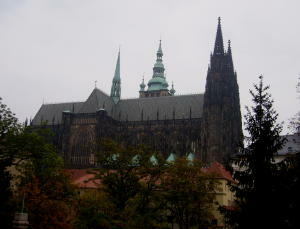 It was constructed in the 9th century and contains the Royal Palace, the Gardens and St. Vitus Cathedral. The Royal Palace was the seat of princes and kings until the end of the 16th century and each succeeding ruler added on to the palace in their own style. 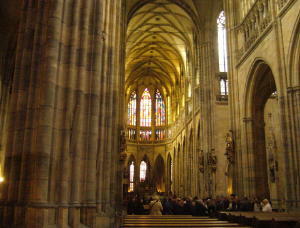 St. Vitus Cathedral was built in 1344 by Charles IV. 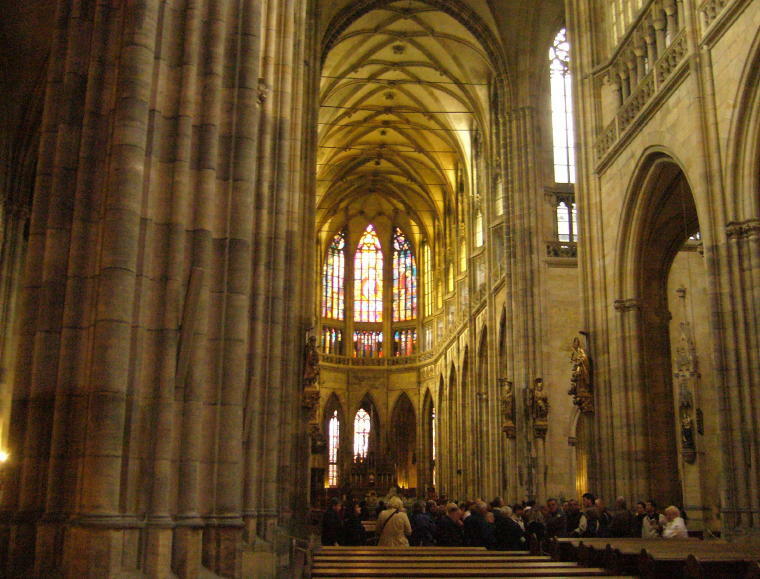 This gothic cathedral is the largest in Prague and dominates the skyline. It has gorgeous stained glass windows throughout. Wenceslas Square in the New Town area (Nove Mesto) is the modern business center of Prague. 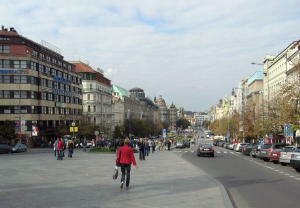 A pedestrian street runs through the square with shops on each side, most very high end. However, as in most of Europe, you can always find a McDonalds! To view additional photos from Prague, visit the Prague Photo Gallery. While in Prague we took several side trips outside the city. 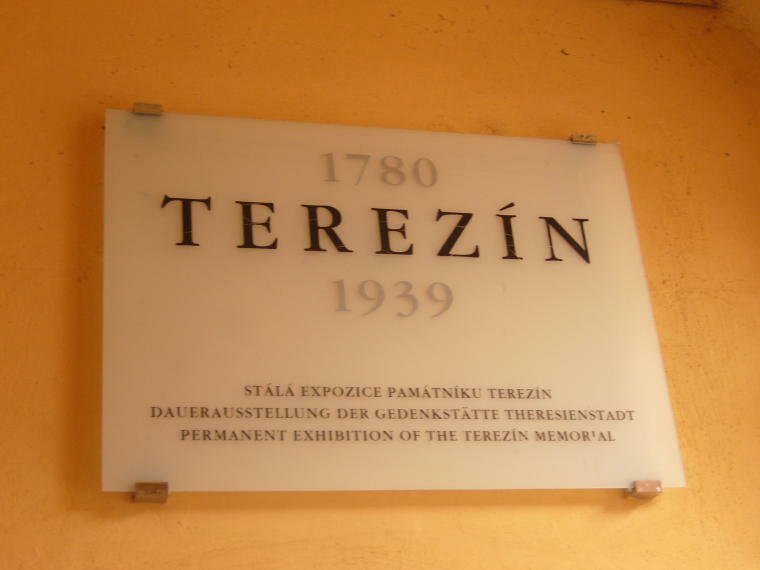 The first was to Terezin, about 90 miles north of the city. 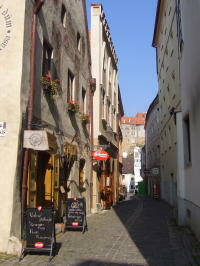 The town was originally built in 1780 by Emperor Joseph II of Austria for protection against the Germans. It consists of a big fortress and a small fortress. 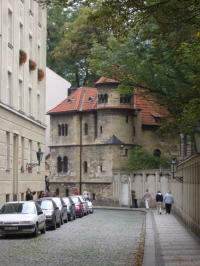 But during WWII, the Prague Gestapo Police Prison was set up in the small fortress for political dissidents. 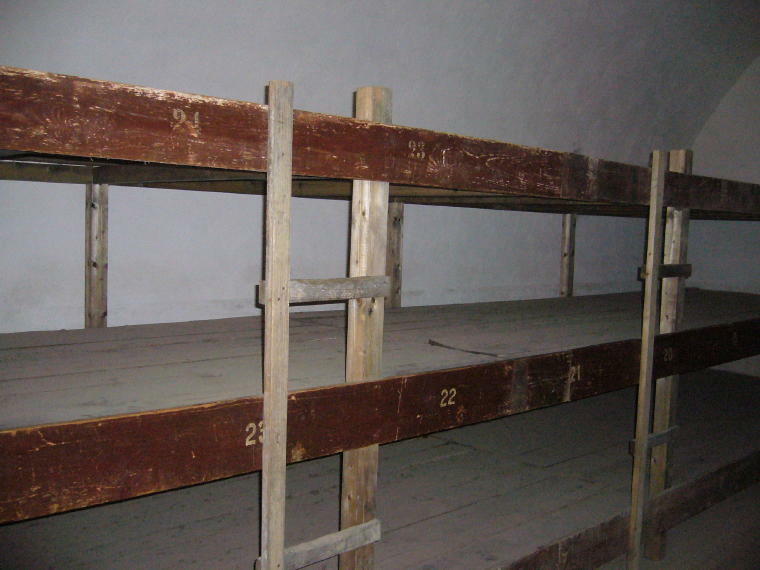 One cell held about 60-90 inmates on wooden, 4 level bunks, with one hole for human waste. 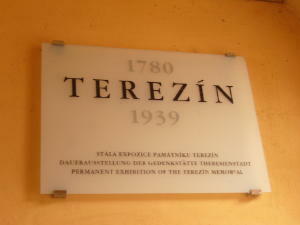 Over 2600 prisoners died in Terezin due to the harsh living conditions, diseases and torture by the guards. 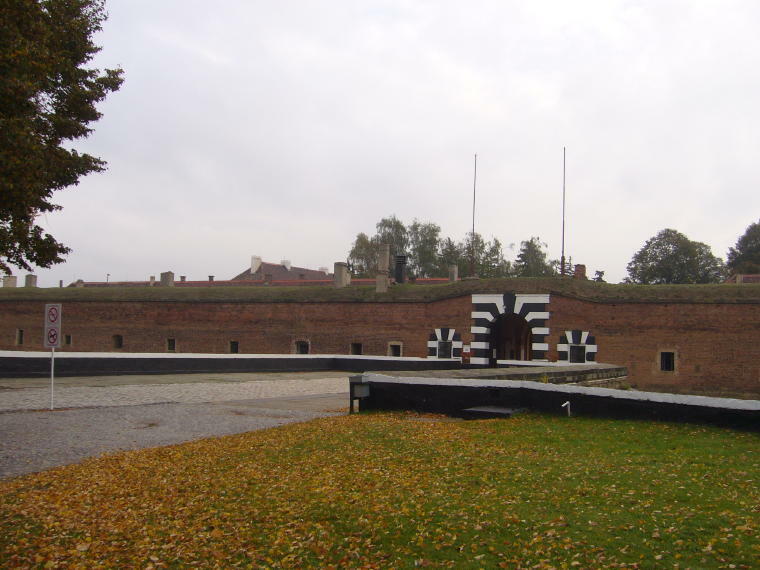 The large fortress town became a ghetto for Jews. 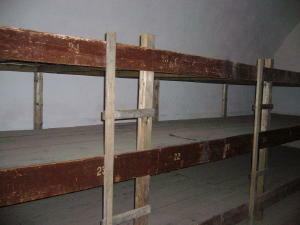 While there were no gas chambers in Terezin it was used as a staging area for Jews to be sent to Auschwitz. And with nearly 60,000 Jews inhabiting an area originally designed for 7,000, extremely close quarters, diseases and lack of food and water made it truly like a concentration camp. The inhabitants were some of Europe's most gifted composer, writers and artists. 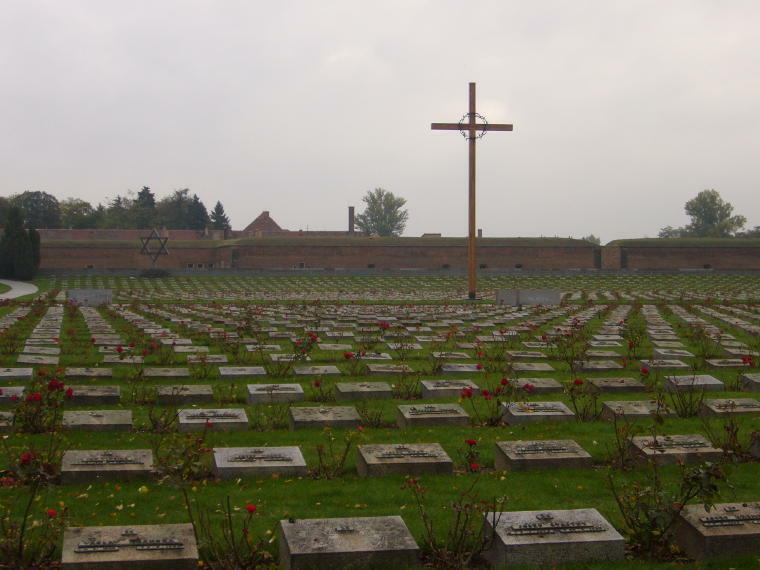 Of 87,000 Jews taken to Terezin, only 4000 survived. 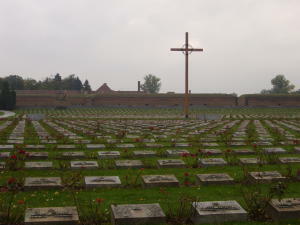 In 1945, a National Cemetery was laid out in front of the small fortress, with the remains of over 10,000 victims of the Prison, the Ghetto and the concentration camp in Litomerice. While a very sobering tour, the highlight was seeing the drawings and poetry of some of the children that were smuggled out of the ghetto. 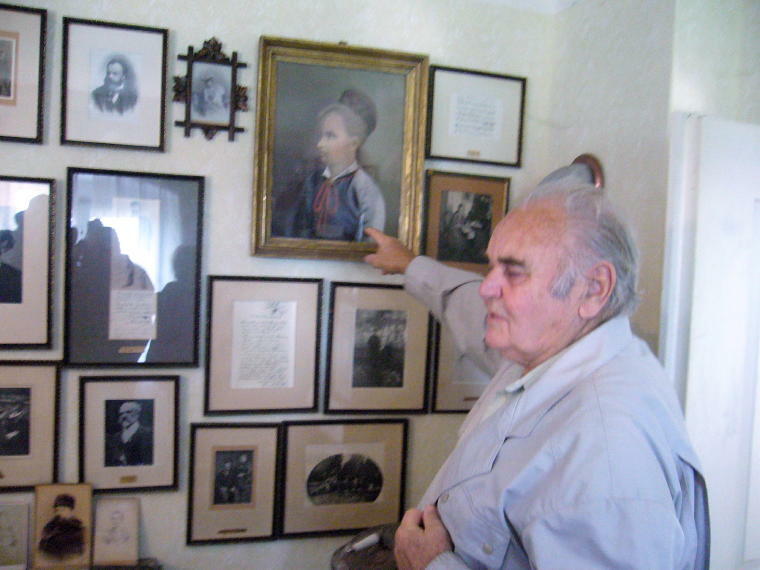 For more photos from Terezin, visit the Terezin Photo Gallery. 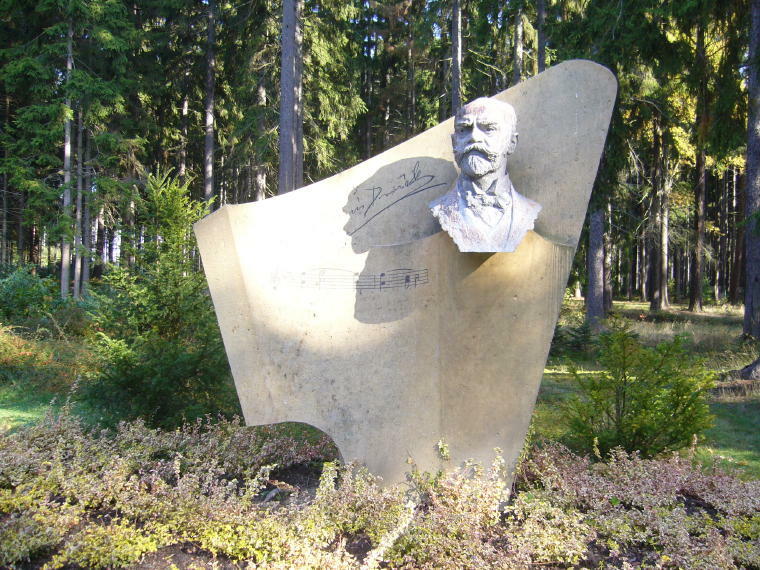 Czechoslovakia was home to the famous composer Antonin Dvorak. 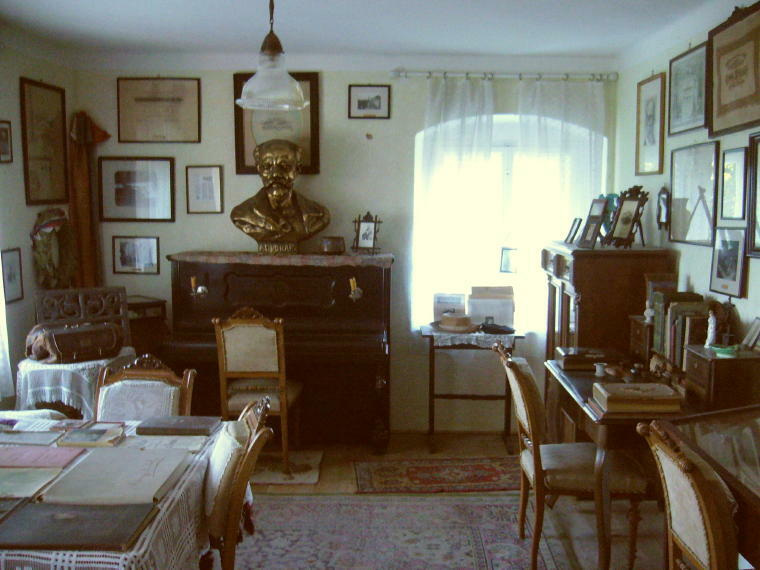 The house of his brother-in-law where Dvorak spent a lot of time has been turned into a museum with memorabilia from his life and operas. We were fortunate to also tour his personal home where he spent many summers. This is normally not open to the public but we were privileged to see it under the guidance of his grandson. 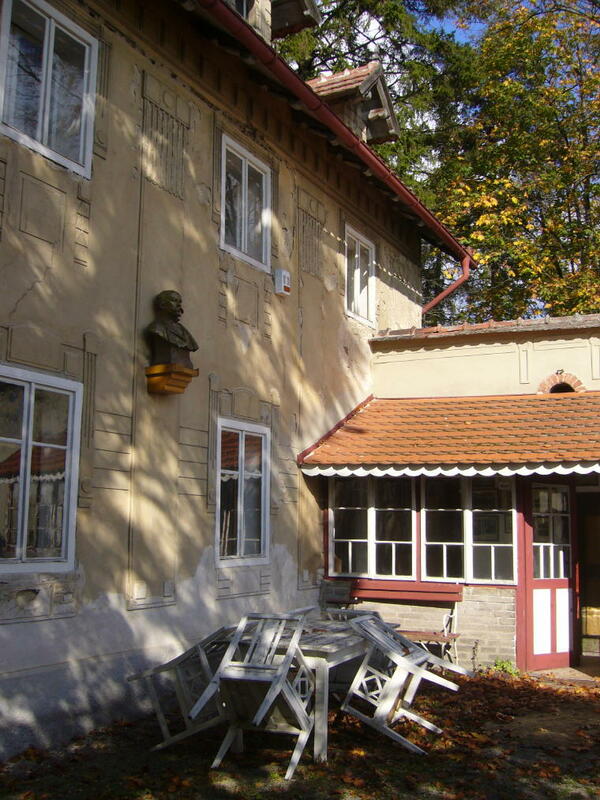 Both homes are located in a beautiful park-like setting about 45 minutes from Prague. 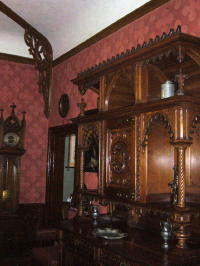 To view additional photos of the Dvorak home, go to the Dvorak Photo Gallery. We also visited the village of Nelahzeve, a town of 1350 people. It was the birthplace of Dvorak and we visited the house where he grew up. But the highlight of the trip was a visit to the village school. The school has about 50 children ages 6-10 in 5 grades. We participated in an English class where the children were learning colors.Grand Circle Travel had donated an interactive computer touch screen board that made learning fun. 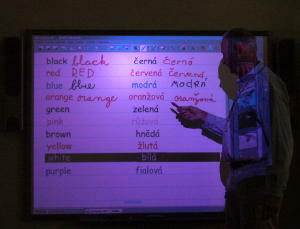 Both Fred and I were chosen to join the children in interactive exercises and games using the board to identify colors in English. Then we visited a music class where the children sang songs. We ate lunch with the children in the school cafeteria. 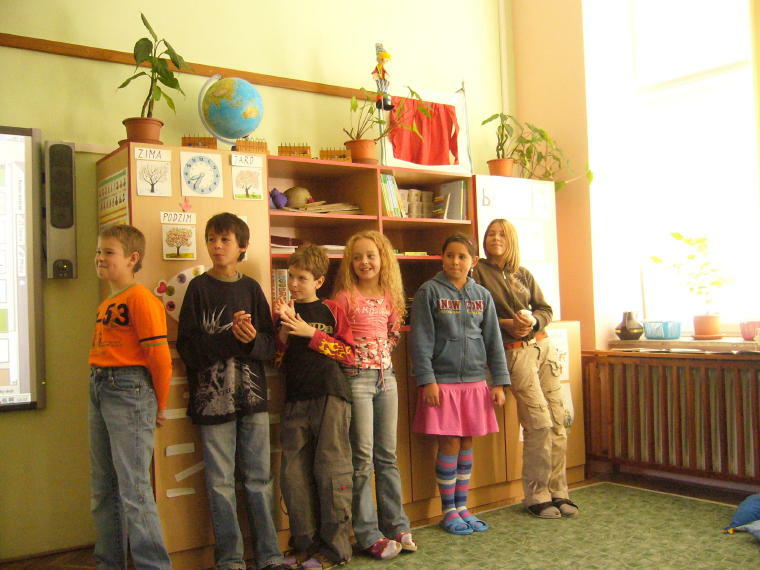 We learned that school is compulsory until age 15. Then there is 4 years of secondary school following either a college prep, specialist or vocational tract. To graduate, they must pass a 2 hour oral exam and have 1 foreign language. To see more photos from our visit to the school, go to School Visit Photo Gallery. Sychrov Castle is located about 50 miles from Prague and was the summer palace of Duke Kamil Rohan. 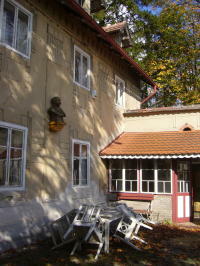 The castle was originally built in the 16th century and was gradually added on to . 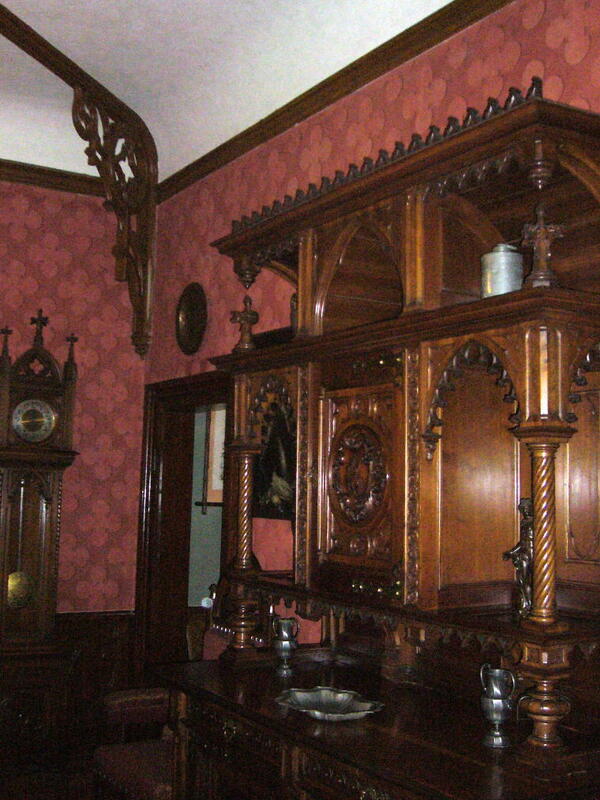 It has been beautifully restored and contains hand carved furniture, ceiling panels and balustrades by the artist Busek. 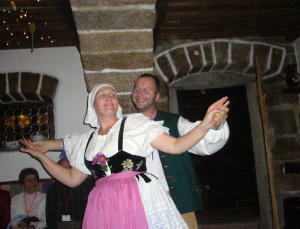 We listened to an organ concert in the castle's chapel, then had a delicious dinner in the castle dining hall. To see more photos from Sychrov Castle, go to Sychrov Castle Photo Gallery. Our final side trip was to the Czech village of Nosalov, one of the best preserved historical villages in the countryside. We passed fields of hops for the world famous Czech beer (the Czech Republic has the highest consumption of beer per capita in the world.) 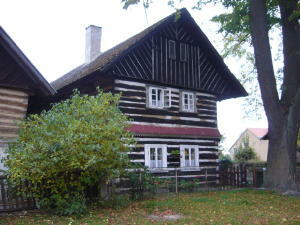 The village was a great place to view the traditional timbered farmhouses from the 17th century. We enjoyed an evening of folk music and polka dancing along with a traditional dinner.To view more photos from this visit, go to Nosalov Photo Gallery. On the way from Prague to board the ship in Linz, Austria, we stopped in the medieval town of Cesky Krumlov. This is a UNESCO World Cultural Heritage Monument and one of the most picturesque places we visited on the trip. 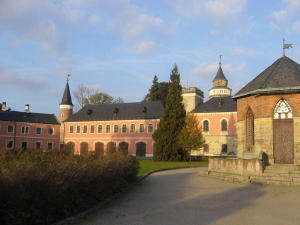 The castle was developed starting in the 14th century. 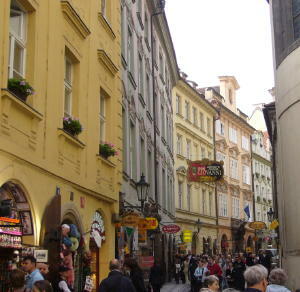 We wandered down the winding cobblestone streets with their cute shops. Then had lunch at the Eggenberg Brewery before reboarding the bus for Linz. 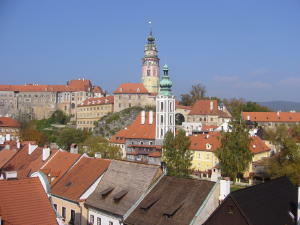 To view more photos from Cesky Krumlov, go to Cesky Krumlov photo gallery.